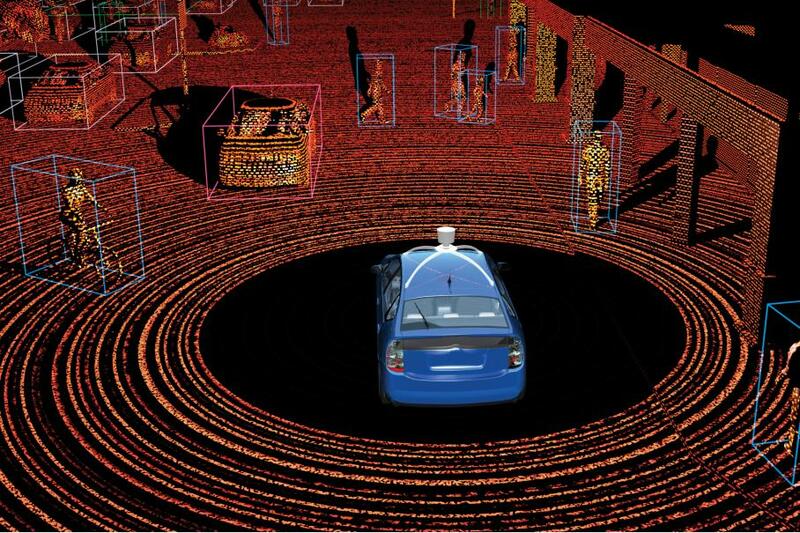 Understanding the technology behind Self-driving Cars. One of the Uber’s Self-driving car had got into an accident on Sunday night that resulted in a fatal death of a pedestrian, a 49-year-old woman who was walking her bike across the street. The accident happened in Tempe Arizona, Uber is asked to ground all vehicles until it’s not clear who is at fault. The Self-driving Vehicle had an operator sitting behind the wheels who looks to be distracted during the time of the incident. Dashcam footage is released by Tempe Police showing this tragic accident. The Police chief- Sylvia Moir also said before the video was released that it looks like “Uber wasn’t at fault”. Before we dive deep into this incident, I want to make it clear that this post reflects my opinion about the incident and has nothing to do with any company or Person. This is my effort to bring more clarity to the technology, present my opinion and give people enough information to have their own perspective about this. The Car that was involved in the incident is a Volvo XC90, however, it has nothing to do with the brand as Uber does heavy modifications of fitting additional sensors and a lot of custom software and hardware that makes this accident either a fault on part of Uber or an inevitable accident. Uber is also likely to buy 24000 Volvo XC90’s to the fleet of Self-driving cars till 2021. In order to understand the accident lets understand the technology and check if it is really Uber, who was at fault? 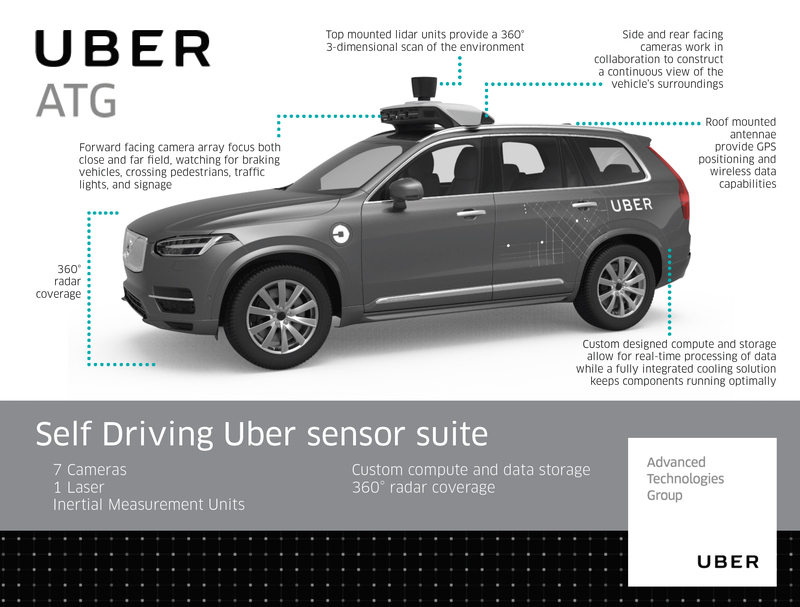 Uber has come up with multiple versions of the same car, with one of them equipped with lesser resolution Lidar Sensor, however, the car that got involved in the crash has a high-end Lidar Sensor. The above Uber’s vehicle is involved in the crash is equipped with the following suite of sensors with following capabilities. This is considered a key sensor for Autonomous driving it provides a 3D map of all the environment with an accuracy of 2 cm. This sensor is capable of generating more than 1.3 Million 3D points. This sensor is able to detect a tree or a car at a distance of +100 meters. The technology is based on Laser Light Detection And Ranging, these sensors are extremely fast and the data from these sensors have very limited Noise. this involves a suite of Short Range and Long Range Radars fitted at the front are typically 24 GHz or 77 GHz. Usually, we have two Short Range Radars(~30m) fitted at the front sides and one Long Range Radar.(~180m). Uber Vehicle is fitted with more than 20 Camera’s fitted across the vehicle facing Front, Rear, both sides Side. These cameras are used to detect vehicles, traffic signs, brake lights, lanes, pedestrians and lot other stuff. These camera’s most likely can be far field, short field, PointGrey, Nightvision and night vision. GPS and IMU unit for localization, and other small Sensors. So with this high range and high end sensing Why did it fail to detect? Sensing: For a human, it is difficult to see any object in car headlamps but for a self-driving car this shouldn’t be a problem due to a variety of sensors. Let’s break down the detection as per sensor and start relating it to the scene. As the car is equipped with a LIDAR(HDL64) which is a very great sensor that means it could have gathered enough points to establish it as an object if not as a pedestrian. Light is not a problem for Lidar, in fact, Lidar works much better during night time. The pedestrian was approaching from Left, so it’s clear the Lidar should have detected and tracked the object considering the angle of approach and size. RADAR should also have detected the object considering that it actually moved from the FOV(Field of View) of Short range to Long Range Radar. Radar does get ghost detections but when the objects lie within the intersection of the two sensor FOV, the system gets certain in establishing it as an object. The camera doesn’t work well in these lighting conditions, however, these cars have night vision camera but they are usually front facing and might have completely missed until it was late. Its very clear that detection ideally should have happened considering this scenario. Fusion works with multiple sensor data coming from different sensors and then fusing the data to identify and establish that object as an object and not a false detection. It also enables us to estimate the next possible position of that object after tracking its motion. As the pedestrian was moving across the road, the object had a lot of historical data to establish it as an object and estimate its motion and time to collision. Execution: Its very clear that the car was driving itself, and performed no collision mitigation, or braking that clearly shows that this part of the system received no instruction or the environmental model clearly missed representing the detections as a pedestrian. These Autonomous Cars are in beta and are supposed not be perfect at the start itself, that’s why there is a driver present behind the steering wheel that should take over in cases like this. Clearly, in this case, a part of the blame is on the driver who failed to react in this case. This is a clear case of negligence as the driver kept consistently looking down multiple time, the source of distraction is not clear, it could be texting or Infotainment. This is a tragic incident and a major setback for self-driving technology. The investigation is On and all the truth will be revealed after the completion of the investigation by Uber and Tempe Police. This should serve as an example for those who take safety lightly, clearly, this example is a complete system failure with all failsafe options giving up. Just to let you know Hundreds of people die on American roads every day, just because this one involved a driverless car shouldn’t be the only reason to make driverless cars as the culprit. All Opinions Expressed In This Post Are My Own. Contact me at [email protected] or https://www.linkedin.com/in/zaideesh/ to discuss or just say Hi. Roboticist, Automotive Enthusiast, working towards Autonomous Car Development. Actively on route to make this world a better place. If you are riding in an Uber and your driver gets into an accident that causes you injuries, Uber does have an accident policy. That policy covers the driver up to $1 million in liability, which means you will be covered for up to $1 million in damages for your injury. Can we call a spade a spade? The fault is clearly and solely that of the pedestrian who got hit. I am sorry for her, and it is tragic that she paid such a high price for her mistake — but it was her mistake and her fault. 1) She had a clear view of the approaching vehicle — it’s headlights would have stood out at night well beyond any ability for the car or the driver to detect her. 4) Should I even mention her failure to use a designated cross-walk? How about we all stop pointing our fingers at Uber and the driver behind the wheel now? Frankly, if I had been driving or if anybody else had been driving, we almost certainly would have hit this lady. You can’t even see her until it is too late.